It all started on 16th July 1951. The Second World War had been over for 6 years and Britain was trying to rebuild its shattered economy. 28 year old Tom Mackie, who’d been an RAF navigator with Bomber Command, was back on Civvy Street working as a salesman for the giant electrical manufacturer GEC. The Second World War had been over for 6 years and Britain was trying to rebuild its shattered economy. 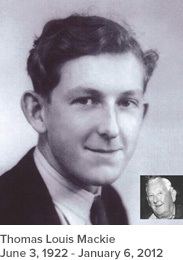 28 year old Tom Mackie, who’d been an RAF navigator with Bomber Command, was back on Civvy Street working as a salesman for the giant electrical manufacturer GEC. Tom was de-motivated by the lack of drive and interest shown by his colleagues. One day he noticed an unprofitable electrical wholesale business for sale at 37 Hartford Place, Coventry, UK. Tom could see its potential and risked everything by pouring all of his savings into buying the property and the business. This was to be the first branch of the worldwide commercial and manufacturing network known as City Electrical Factors. In the aftermath of WWII, the British economy was struggling and Tom had to concentrate all of his efforts on making sure that he could make his small CEF branch survive. The gamble paid off but it was another 8 years before Tom Mackie could open a second branch of CEF, this time in Northampton, UK. Success followed success and in 1961 the business had grown to 3 branches. By 1971, there were 42 branches, Ten years later the company had grown to 190 branches and by 1991 there were 346 branches. When CEF entered the 21st Century, there were nearly 400 branches in the UK alone. While CEF was becoming a dominant force in the UK marketplace, Tom had also spotted opportunities beyond the shores of the UK. He decided to spread his wings. In 1984, CEF opened its first North American business trading as CES…. City Electric Supply. The company originated in Florida and has expanded dramatically over the past twenty years. CEF also now have branches in Canada, the Republic of Ireland, Spain, Gibraltar and of course Australia. In other words, from that single branch in Coventry which Tom Mackie purchased in 1951, his company has now become a global force.